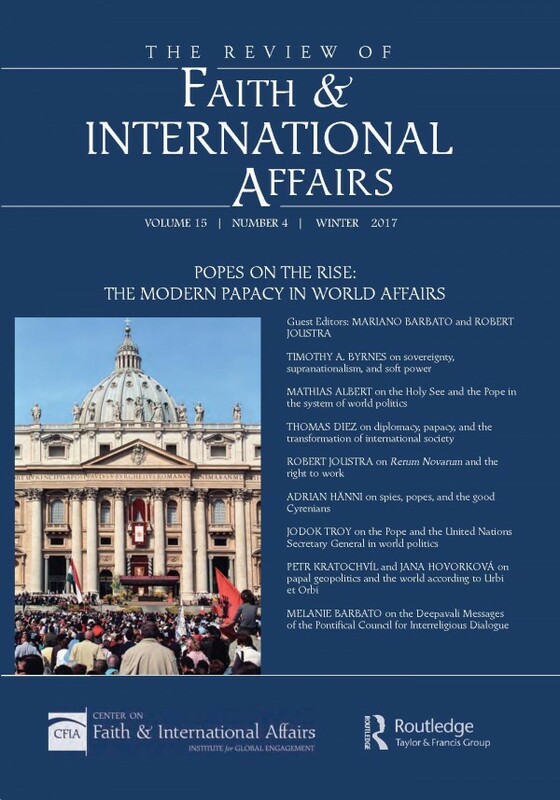 The winter 2017 issue of The Review of Faith & International Affairs is a special issue examining the recent renaissance not only in the study but in the practice of Vatican diplomacy. Guest edited by leading scholars Mariano Barbato and Robert Joustra, this issue features articles emerging from an international conference held in March 2017 at the Vatican, "Popes on the Rise! Mobilization, Media, and the Political Power of the Modern Papacy."